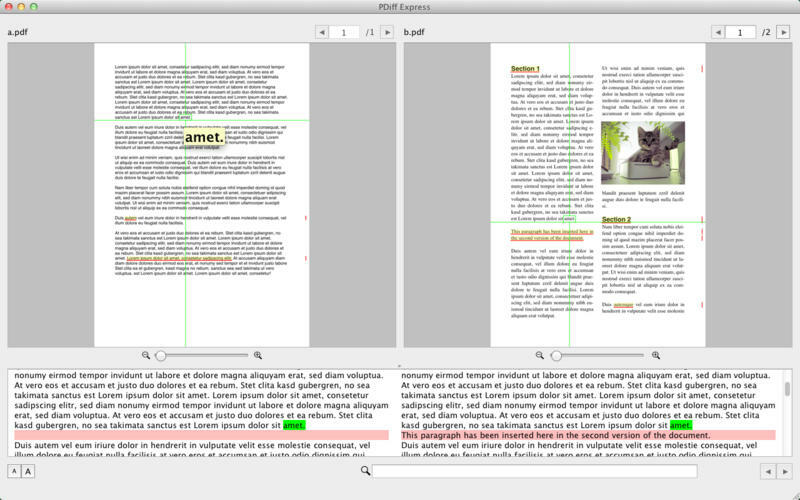 PDiff Express allows users to compare the content of two PDFs in order to pinpoint all textual changes. Just drag and drop two versions into PDiff and you will see all differences at a glance. This still works if fonts, layout, hyphenation or even page breaks were altered. If you need more information please contact the developers of PDiff Express (CSci), or check out their product website.